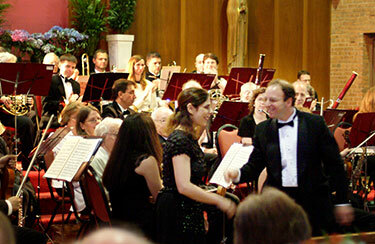 Orchestra Music Director Peter Freisinger congratulates piano soloist Amira Acre at the conclusion of Mozart’s Allegretto, from Piano Concerto N. 24. 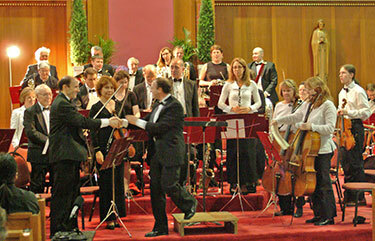 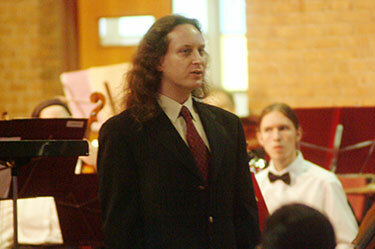 The Orchestra commissioned an original work by composer Koray Sazli who titled his piec “Lament for a Wooden Soldier”. 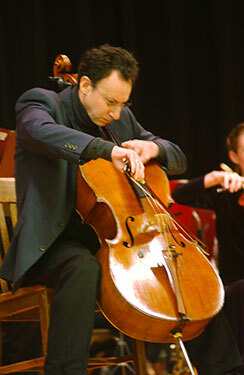 The Orchestra was delighted to have Mr. Sazli in the audience for the world premier performance of this piece. 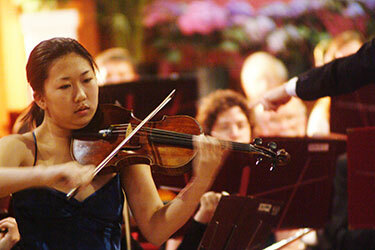 Daisy Joo, a brilliant 15-year old violinist, was dazzling as the soloist for Saint-Saëns’ “Introduction et Rondo Capriccioso”. 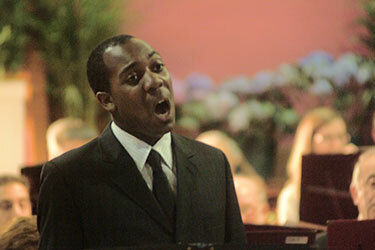 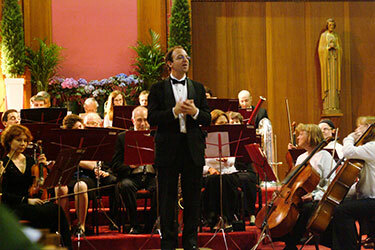 Baritone soloist Ishan Johnson brought several popular tunes to life with the Orchestra. 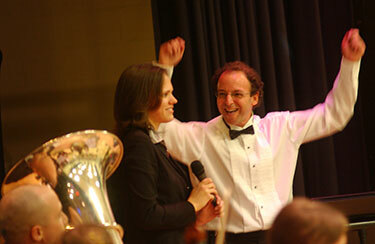 Thanks to Susan Silverman for these photos! 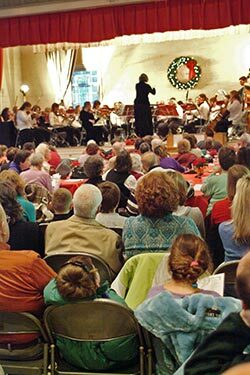 The Parkway Concert Orchestra performed up close and personal (the front row of the audience could almost help turn pages for the violins!) 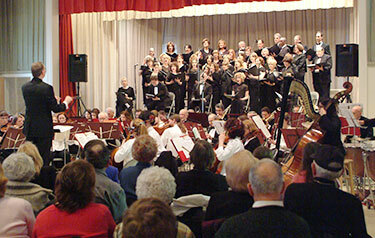 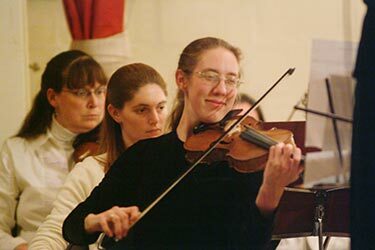 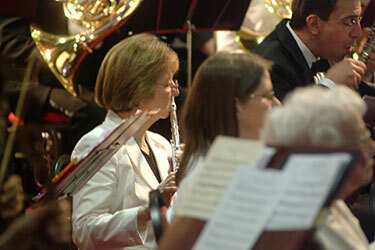 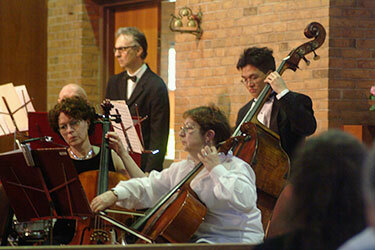 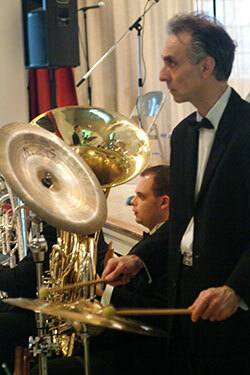 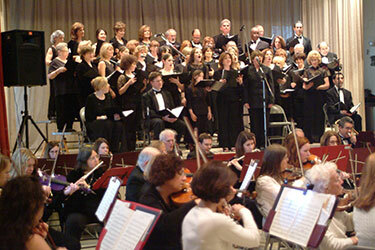 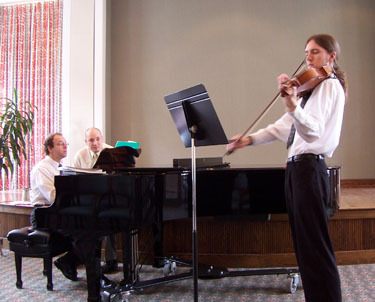 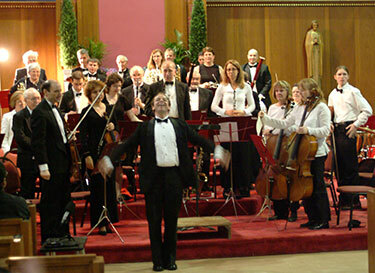 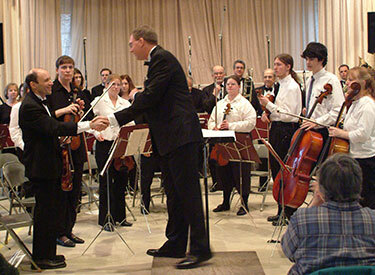 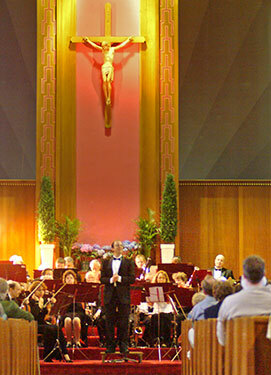 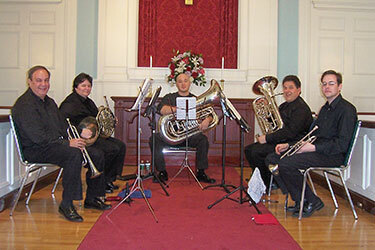 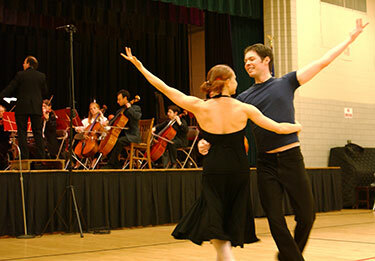 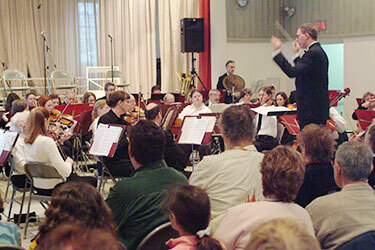 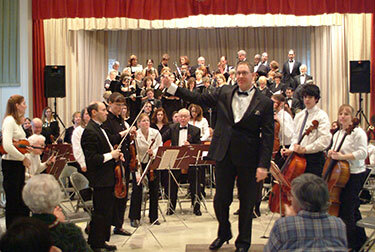 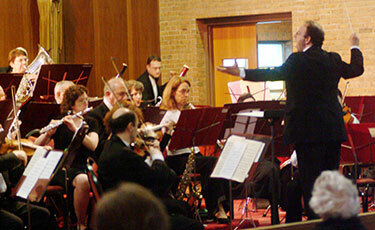 to the sold-out house on Sunday March 12, at the First Congregational Church in Norwood. 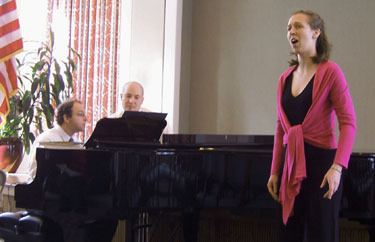 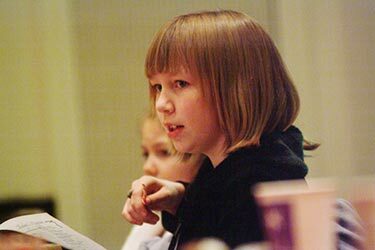 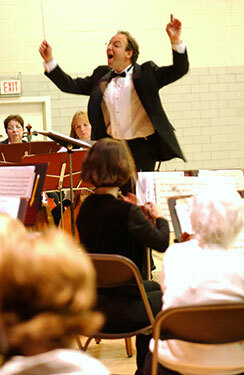 Michael Macrides helps generate an atmosphere of tension in Holst's Mars, Bringer of War from "The Planets". 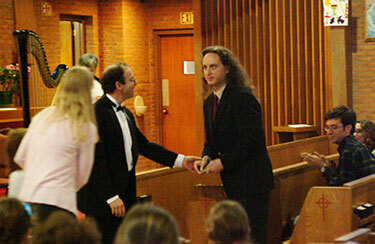 Principal Guest Conductor Lawrence Isaacson congratulates Concert Master Marc Benador. 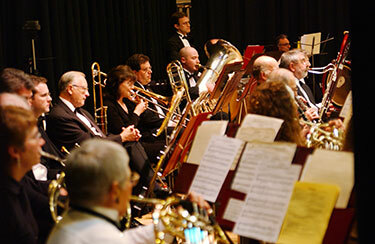 In the electrifying second half of the performance, the Parkway Concert Orchestra was joined by "Basically Broadway" and the combined forces presented medleys from My Fair Lady, The Phantom of the Opera and The Sound of Music. 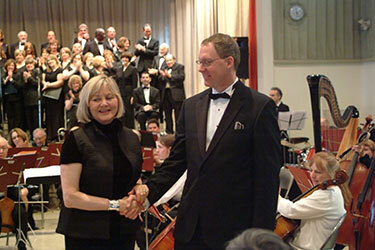 Lawrence Isaacson of the Parkway Concert Orchestra with Barbara Brilliant, Artistic Director of "Basically Broadway". 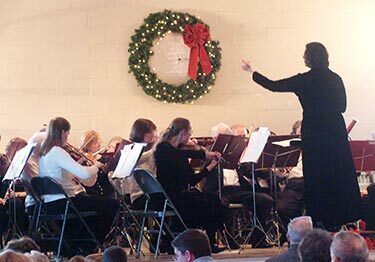 Three ensembles comprised of Parkway Concert Orchestra members performed as part of the Dedham Savings Holiday Program, and those individuals then all joined together for "We Wish You a Merry Christmas". 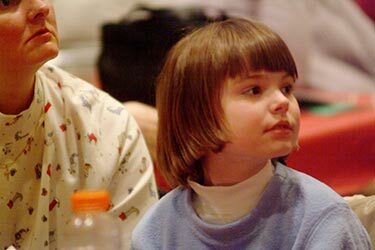 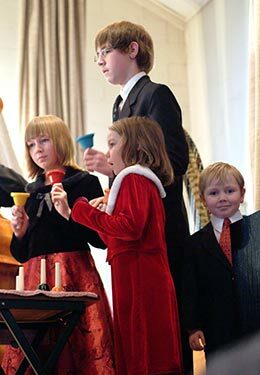 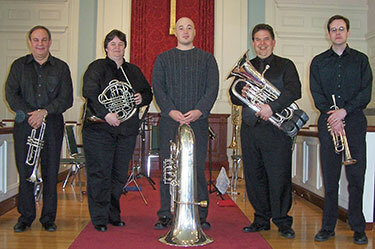 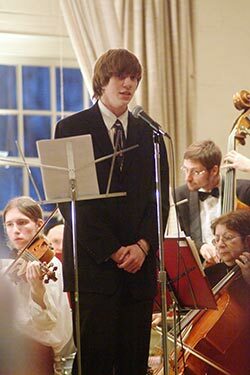 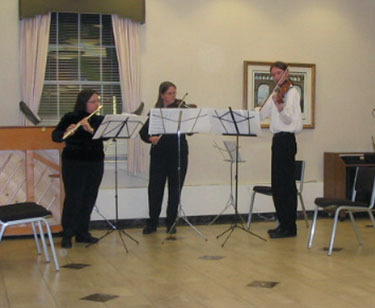 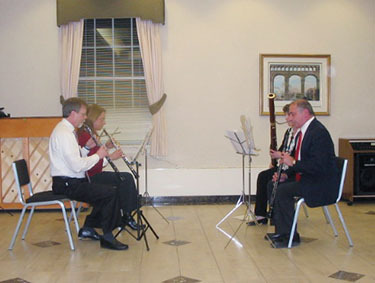 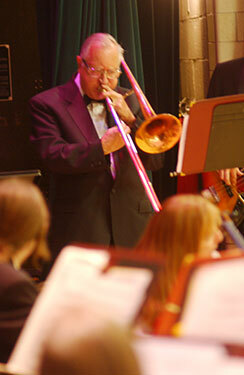 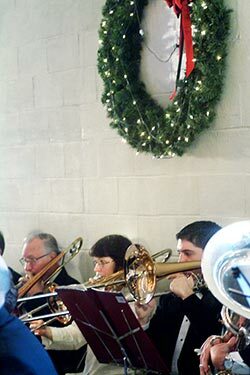 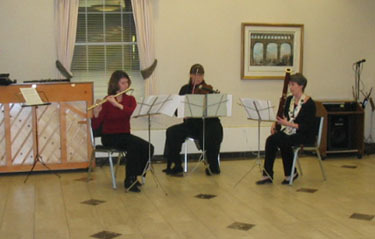 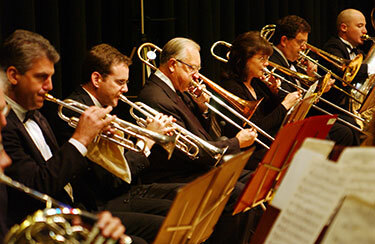 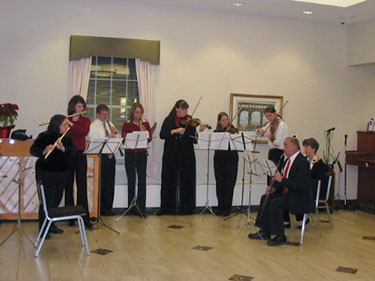 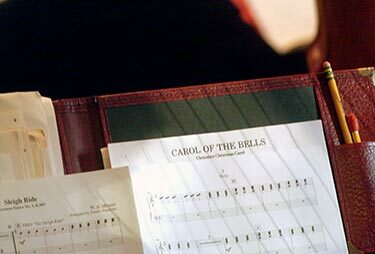 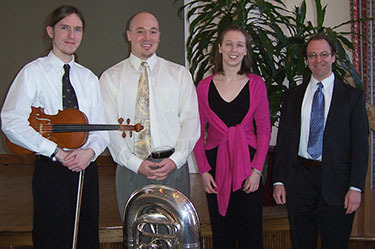 Dan Masterson's brothers and sisters supported the Parkway musicians on "Carol of the Bells". 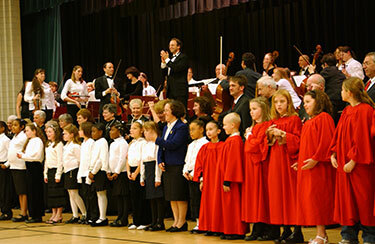 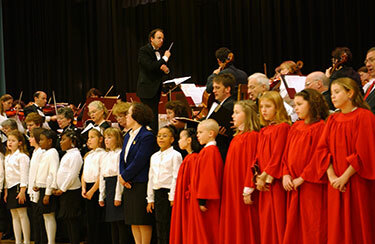 An enthusiastic, inter-generational audience turned out for the Winter Concert. 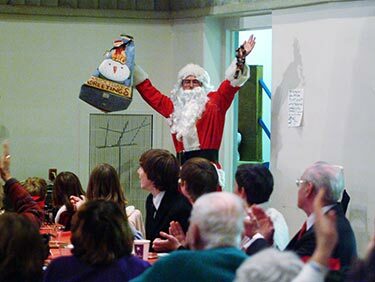 The "Man in Red" once again managed to fit in a brief appearance in spite of his busy seasonal schedule! 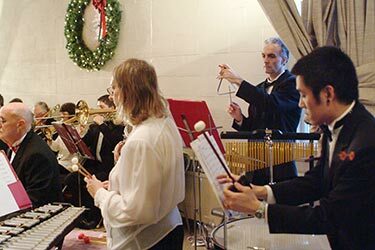 A concert of Holiday music always keeps the Percussion section busy! 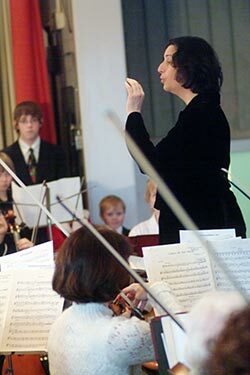 Concert Master Joy Grimes gets into the spirit of the festive program. 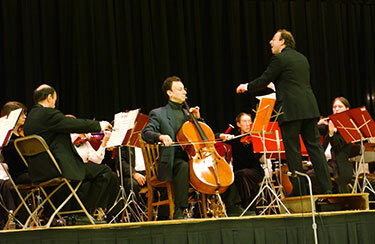 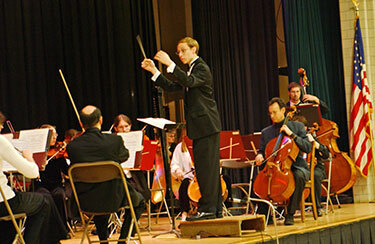 The Parkway Concert Orchestra began its 61st season exuberantly with a rich and varied program presented at St. Theresa’s School under the leadership of Peter Freisinger, shown here conducting Fauré’s Élégie (Joel Wolfe, cello soloist). 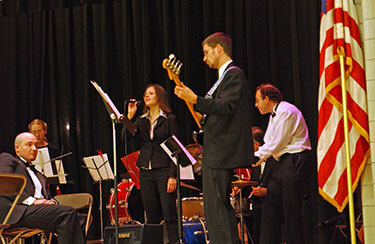 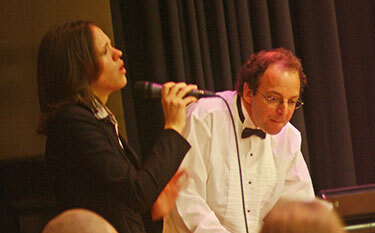 The Winter Street Jazz Ensemble with Laura Quinn presented a rollicking, stirring, high energy Tribute to New Orleans.